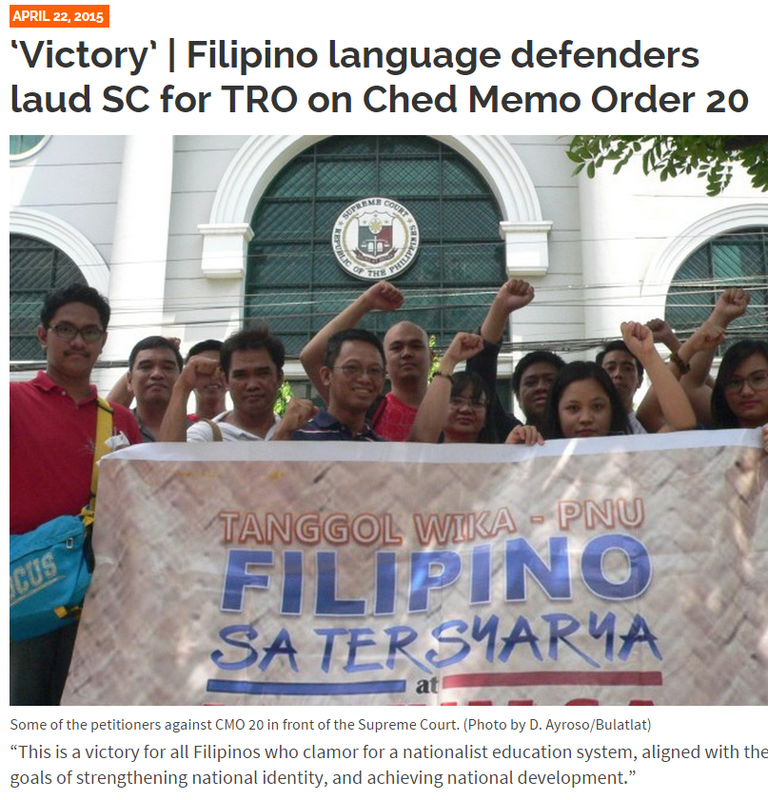 Somehow, I fail to recognize the significance of a recent issuance by the Supreme Court in the Philippines of a temporary restraining order (TRO) against the new college curriculum removing Filipino as a mandatory subject in college. The new college curriculum outlined in a memorandum issued by the Commission on Higher Education is set to be implemented in 2018. We are currently in the year 2015. The need for a TRO was therefore unclear until I heard of news of academic departments of Filipino in some colleges in the Philippines being closed. Primary and secondary education are systems that are complex enough that changes must be introduced in a carefully planned and integrated manner since these can easily have unintended consequences. In the Philippines where basic education faces so many challenges, it is very important to keep in mind various factors that are in play. Formal schooling does not begin at childbirth so parents and early childhood care also matter. Education requires resources, classrooms, desks, teachers and learning materials. Teachers and learning materials come from higher education. If higher education is likewise in a bad shape, reforms in basic education are not going to succeed. Article XIV of the Philippine Constitution provides the general principles that need to be followed when providing education in the Philippines. The various sections in this article basically enumerate what needs to be considered. Nowhere in this article does it state that one provision is more important than another although one could easily imagine a conflict potentially arising between sections. Here is an example. The article actually starts with a statement of "education for all" and it ends with a section on Sports stating that the State must promote physical education. Of course, sports programs and competitions are mentioned. However, in the spirit of "education for all", it is only through providing opportunities for all, and not only for athletes, would the last section be harmonious with the first. Another section worth noting is Section 5. This section lists the following: local planning in the development of educational policies and programs, academic freedom, right to select a profession or course of study, right of teachers to professional advancement, ensuring that teaching will attract and retain its rightful share of the best available talents. In an article published in Forbes, Morrison describes failed educational reforms as reforms imposed on teachers, who are told what they have to teach and how they have to teach it. Section 5 therefore basically informs what to avoid in order to have an education reform that has some chance of success. The State can easily find conflict with itself by not taking a "systems" approach in reforming education. It is indeed prescribed in the Constitution that nationalism and a national language must be promoted in schools. It is also mandated that regional languages and indigenous culture be respected. The Constitution also recognizes the importance of science and technology. Dictating that a course in science be required for all college students may be viewed as an advancement of science education, but in the light of Section 5, this is not advisable. Universities on their own can dictate such a requirement but the Constitution prohibits the State from doing so. In essence, Article XIV of the Constitution protects the rights of the people with regard to education and tells the State what it should promote and encourage. It is in these two words, promotion and encouragement, lies what is necessary in an education reform. Education needs resources. It is no mystery then that at the end of section 5, assigning the highest budget priority to education is mandated. Mother tongue based - multilingual education (MTB-MLE) is part of DepEd's K+12 curriculum. Without the required textbooks and adequately trained teachers, MTB-MLE is likewise bound to fail. Simply mandating that the Filipino language be taught in institutions of higher education without supporting scholarly work in this area is equally meaningless. College students need not be forced to take courses if such courses indeed carry some degree of scholarly work. Departments of Filipino languages can not flourish and thrive without the State's support in scholarly work in these areas. In the end, this is what really makes a discipline part of higher education. 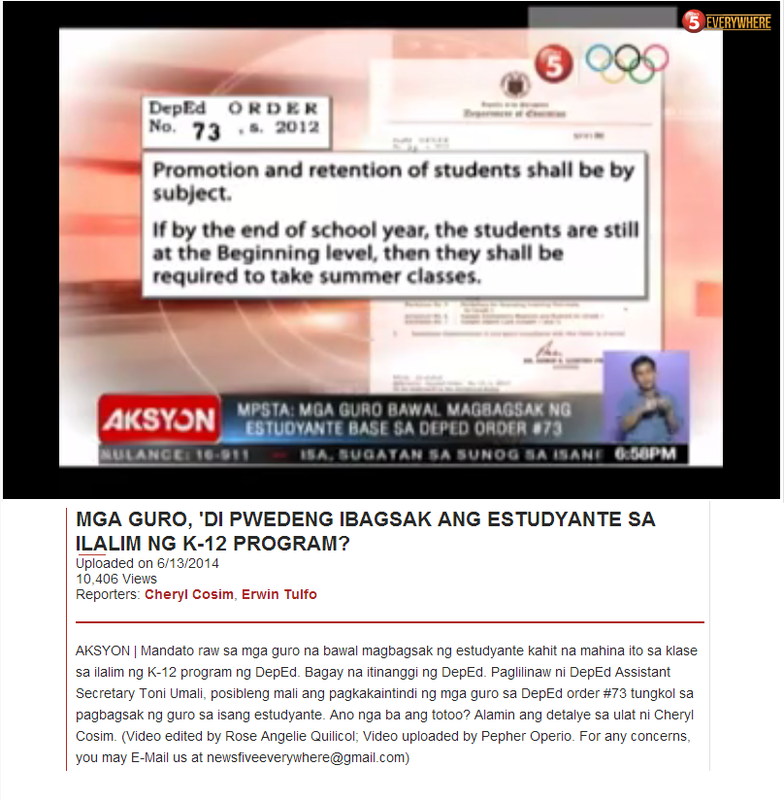 DepEd's K+12 must be suspended so that the correct approaches and preparations are made before its implementation. Section 5 of Article XIV carries the guiding principles of a successful education reform. 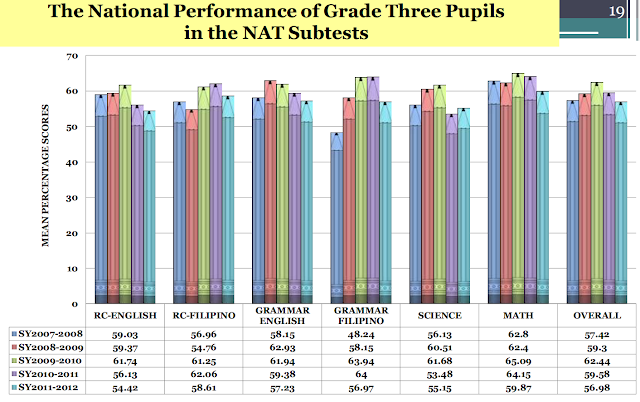 DepEd's K+12's lack of adherence to this section is the right reason why it must be suspended.